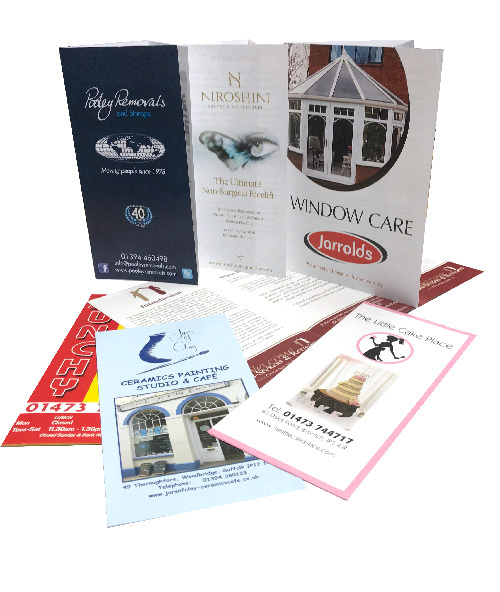 When the information you want to convey is too much to fit on a single or double sided leaflet, or you just want something a little different – try our Folded Leaflets. Ideal for menus, but so much more too. Everyone is familiar with the DL (long skinny) design of folded leaflet, but we can also produce in a variety of other sizes as well, for example, A6, A5, A4. As always we can provide in a variety of paper weights and finishes. Just contact us with an idea of what you want, or come and see us and let us help guide you through the process. If you already have a design and are looking to reprint, we can reproduce your existing product and chances are at a price that you’ll love.